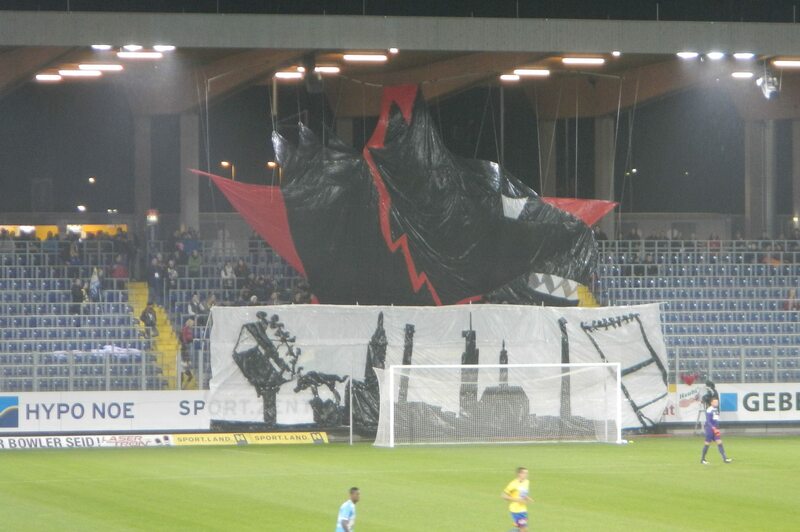 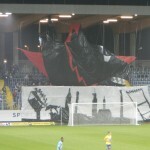 In November 2004 10 people from Sankt Pölten decided to create the Wolfbrigade 04, during an SKN match against FC Vienna. 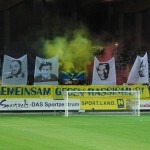 Starting with 10 people we soon developed and grew into having 30 people supporting the SKN on our legendary Voithplatz. 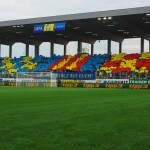 Highlights during these starting times are the derbies against Kremser SC , who are our rivals. 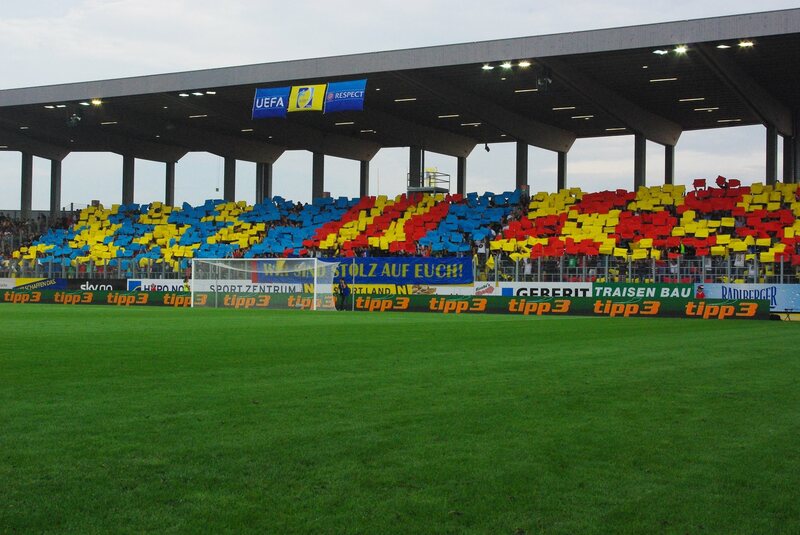 In 2012 our team moved to the NV Arena which is one of the most modern stadiums in Austria. 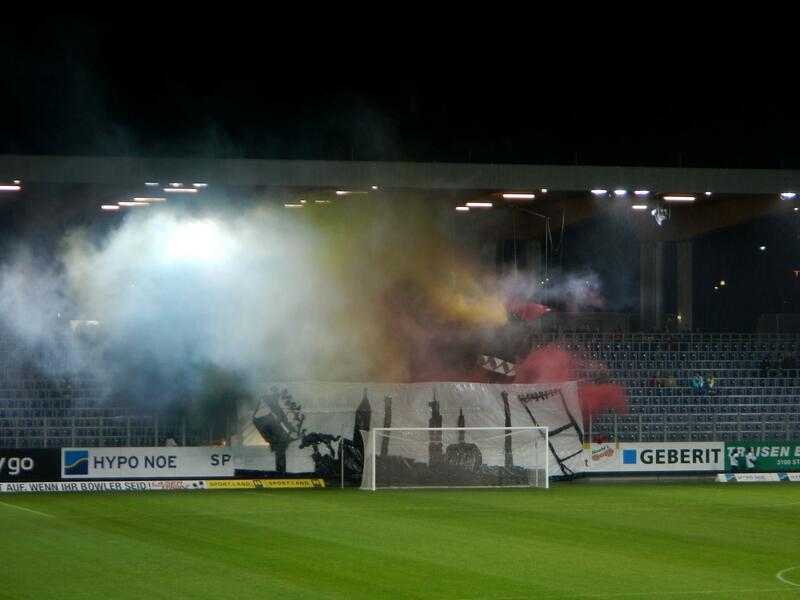 Within the last years our member base increased up to 80 members and all in all more than 150 people now actively participate in our sector at NVArena, supporting the SKN with us. 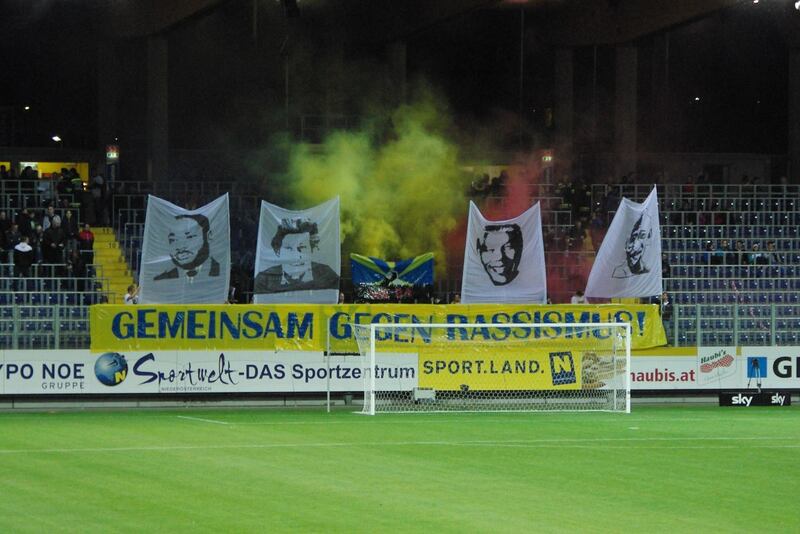 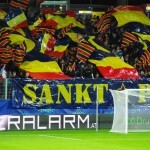 We are the only organized Fanclub in Sankt Pölten and recently celebrated our 10 years anniversary . 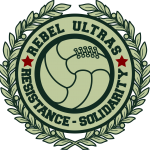 We are Antifascist and Antiracist fans who try to support our team everywhere it goes. 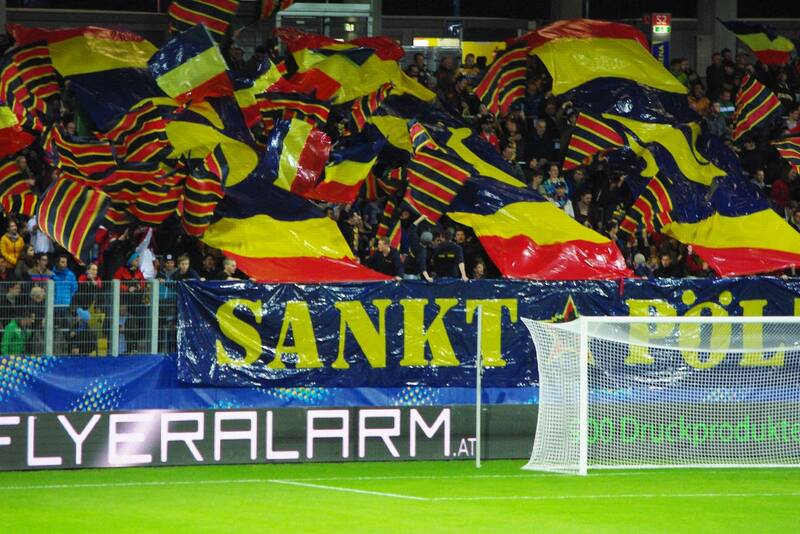 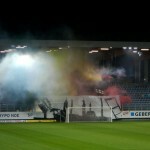 For example this year we actively supported our club on its away games in Bulgaria and the Netherlands.